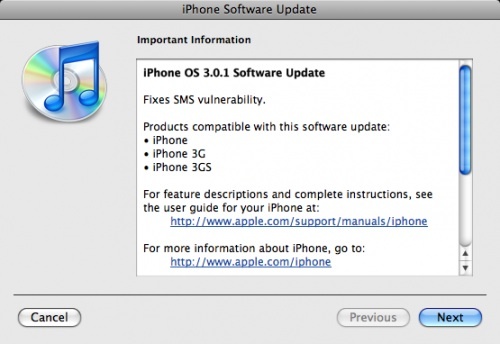 iPhone 3.0.1 is released to address a vital SMS exploit presented at Black Hat security conference this Thursday. The exploit allows the hacker to take control over the iPhone using SMS messages. This update is extremely important and all iPhone users must update to it as soon as possible.